Billed as Nokia's "most rugged mobile handset to date", the Nokia 3720 Classic is an IP54 certified handset that is resistant to shock, water and dust ingress. Although not as resilient as some phones like the Sonim XP3 or even the Samsung B2100, the Nokia 3720 Classic should survive most things that life throws at it. We got a glimpse of the 3720 a few days ago with a couple of Nokia teaser videos which show the handset being kicked about and then used as a golf ball in the rain. So, we feel that it should probably survive the odd bit of water and being dropped onto the floor.. which is a rather more normal thing to happen. It's quite a smart looking handset, the 3720 Classic is much more "normal" looking than some other rugged phones. A combination of stainless steel and leak-resistant panels give it a discrete air of toughness, rather than making it look like a brick. Perhaps the most obvious thing to notice is the screw lock that keeps the battery compartment shut. Underneath the toughened exterior, the Nokia 3720 Classic is a pretty basic GSM-only phone. It has a 2.2" 320 x 240 pixel display, 2 megapixel camera with LED flash, microSD expandable memory, a multimedia player and a stereo FM radio. One useful feature is a built-in LED flashlight, which is something that we would like to see in more handsets. The 3720 also supports Bluetooth 2.1 and USB connectivity. There's a large 1050 mAh battery which gives up to 7 hours talktime and 18 days standby time. The standard sales package also includes a 1GB memory card, stereo wired headset, BL-5CT battery and an AV-8 charger. This is a Series 40 phone, so it comes with a web browser and email client plus all the usual applications that you would expect. 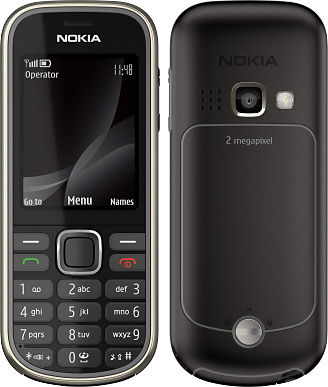 The microSD card comes with preloaded Nokia Maps, although the Nokia 3720 Classic does not support GPS. Despite all the 3720's toughness, it weighs in at a reasonable 94 grams and measures 115 x 47 x 15mm. This is a little larger than a standard GSM phone these days, but it is hardly bulky. 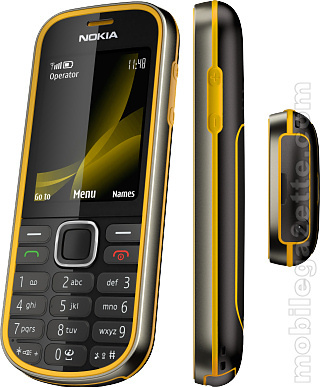 Nokia say that the 3720 Classic should be available during the summer in Grey and Yellow colour schemes, and at estimated price of €125 before tax and subsidy. In our view, the 3720 is long overdue. Nokia haven't made a robust handset like this since the 5500 and 5140i phones, but there does seem to be a small but significant market for this type of device. Now.. if only they would add GPS..